First, we went to Japan, where we visited Mt. Fuji, Shibuya Crossing, Shinjuku, Shinto shrines, and so many other places. There are so many things about Japan and Japanese culture that are outstanding. They have fewer trash cans than any place I've been, but it is the cleanest place I've been. They don't generally accept tips, but offer some of the best customer service we've ever had. Their service—wow! One thing that really stood out to me about their service was the way they bowed. After they loaded us on our bus, they stood on the curb, and bowed as we departed. When they entered the workplace, they bowed. When they exited work, they bowed. After they served you, they bowed. That ritual contained so many layers to it. In some ways, serving you is an honor, and bowing is a sign, or a symbol, of respect and gratitude. There are so many more examples of this, but I must move on to China. 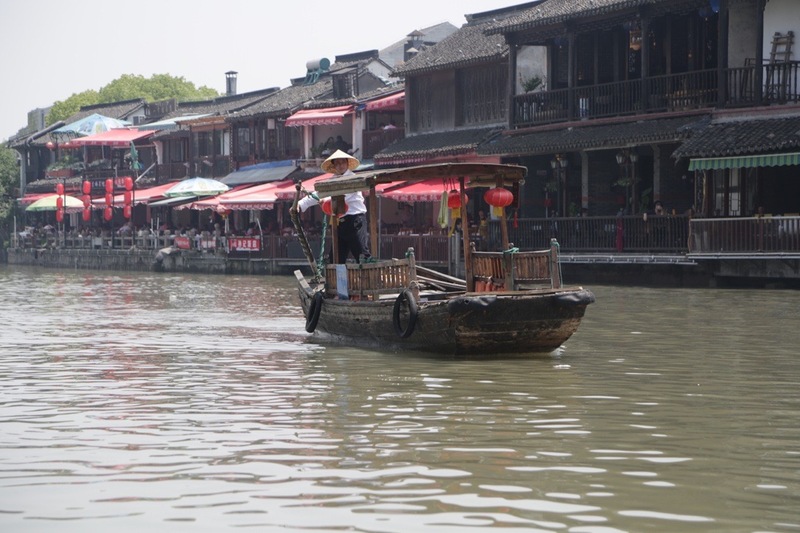 In Shanghai, the most populated city in the world, we visited an ancient water town, ancient gardens, and a plethora of other places. But there was one experience that really blew my mind. When I was jogging through a park, I saw hundreds—maybe thousands—of opened umbrellas on the ground. So I sat down to try to figure out what was going on. Come to find out, it was a marriage market. What is that? Well, every Saturday and Sunday in Shanghai (at People's Park, in People's Square), parents and grandparents of unmarried adults fill the park to trade information about their children, hoping to find a spouse for them. 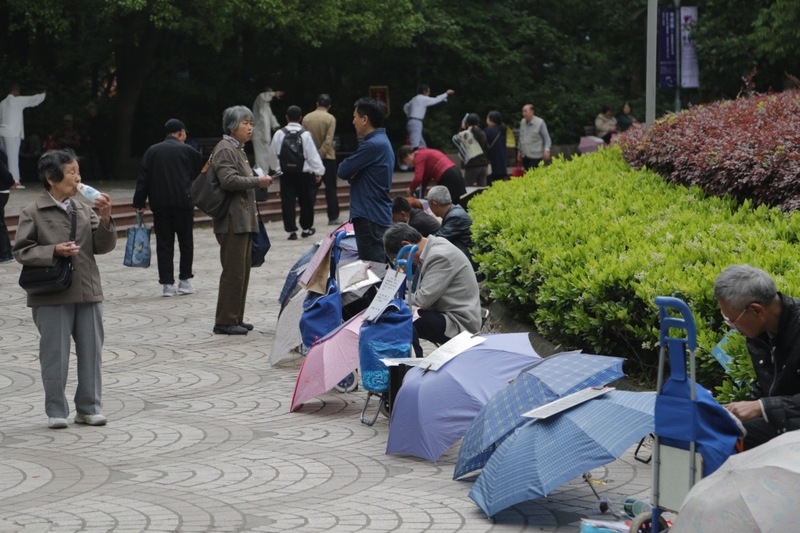 They arrive early in the morning to claim their spots with umbrellas, and attach little biographies (advertisements) to the umbrellas that include things like height, weight, hobbies, jobs, and the monthly incomes of their unmarried offspring. I've never seen anything quite like it! An umbrella, in my mind, was merely a tool to protect you from the rain (or maybe a weapon in a dark alley). But I never thought that it could function as an advertisement for marriage. Because of that, I will never look at an open umbrella the same. There was another thing in China that made my family somewhat uncomfortable. In China, I lost count of how many people stopped, stared at, took pictures of, or tried to touch my daughter’s hair without asking. When we asked one of our guides about it, she told us that many people from China's countryside have never seen foreigners (especially black people, or black children), and, as such, their touching of my daughter’s hair was, for many of them, a gesture of endearment. For the most part, we were okay (if at times uncomfortable) with the staring and the pictures. We were not quite yet comfortable, however, with random strangers touching our daughter or children without our (or our childrens') permission. So Alice and I politely blocked (or gently pushed away) countless hands during our time in China. 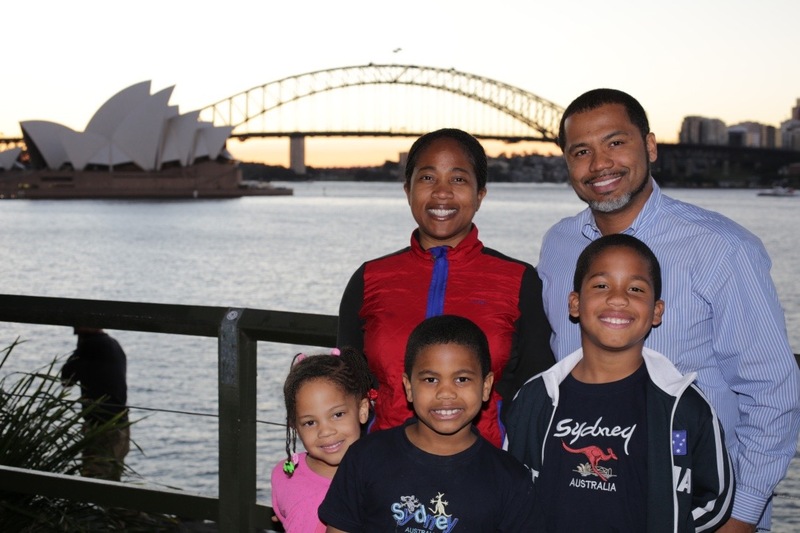 In the “Land Down Under,” we had a marvelous time in Sydney and Melbourne. We stopped by the Opera House, a couple zoos, Manly Beach, and whole host of other places. Speaking of culture, there were a couple things that I’d like to mention about culture. During my encounters with several Australian men, they kept calling me “buddy,” as in, “No worries, buddy,” or “Hey, buddy. Good to see you.” Being called “buddy” was, at first, a bit bothersome. Where I am from, the only people I refer to as buddy are kids, like, “Hey little buddy.” However, to call a grown man, “buddy,” where I’m from would be considered condescending at least. After people kept calling me buddy, I began to gather that referring to someone as “buddy” in their culture is just another way of saying, “Hey, man,” or “what’s up, dude” or “hey, boss." Also, when I said, "thank you," they did not resond with, "you're welcome." Instead, they said, "no worries." Language is so fascinating to me. All the above experiences are about culture, and, from my studies, I have learned that navigating different cultures requires awareness of one's own cultural frame of reference; knowledge of the host culture's values, symbols (especially language), and rituals; and, skill at respecting and using, as best as one can, those values, symbols, and rituals in context-appropriate ways. Still, that is much easier said than done. The fact is understanding people from different cultures is not easy. Learning about their symbols, heroes, and rituals requires you to revert to the mental state of an infant, in which the simplest things must be learned over again. This often leads to feelings of distress, of helplessness, and of hostility toward the new environment. 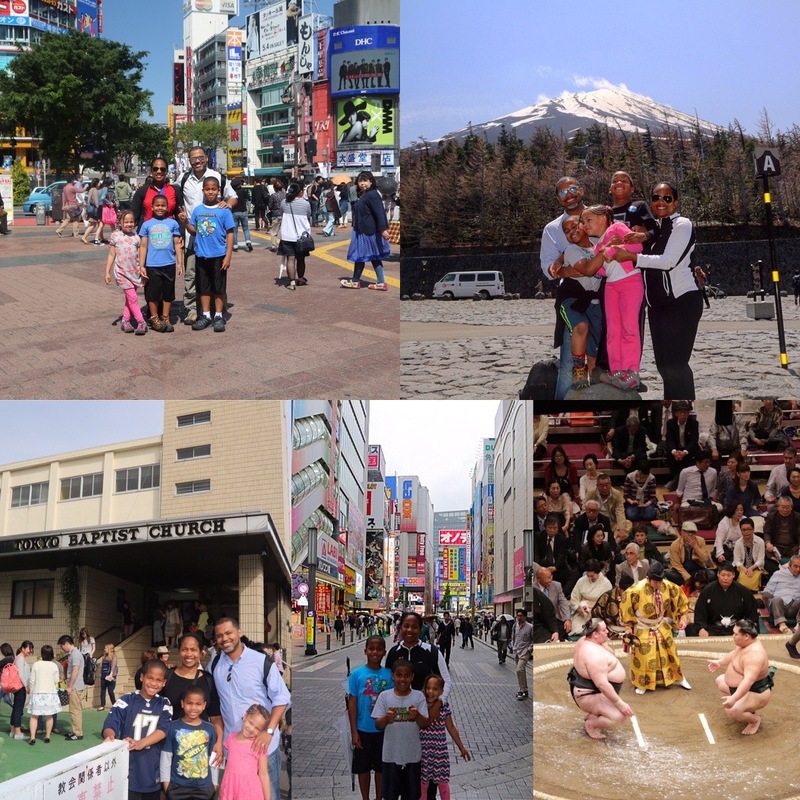 To try to reduce some of the cultural shock that I knew we would experience as a family, we took Japanese and Mandarin language lessons before our trip. The basic introductions to both languages and cultures prepared us greatly, and really came in handy throughout the trip. We learned how to greet people, ask for directions, express our gratitude, and a few other things. We even learned the proper way to enter a Shinto shrine. However, there was still so much that we did not understand about those cultures. We still had so many questions, and at times, we were just plain lost. What might this have to do with you? When it comes to serving others, even people who are from your own country, new leaders, especially new teachers, often experience culture shock. They feel anxiety, and at times, feel very lost. One of the best ways to overcome culture shock is to try to learn the language of the people with whom you would like to work/serve. It is nearly impossible to become bicultural without first becoming bilingual. Words are vehicles of culture transfer. Let me explain. A symbol is an object, sound, action, or idea to which people arbitrarily assign meaning, and there is no necessary relationship between the symbol and its meaning. Language, then, as a collections of sounds, is a symbol; and the meaning of a symbol—a word—is only recognized by those who share the same culture. That is why symbols, such as language, on their surface, are enigmatical. They are puzzles meant to be solved. Text that is meant to be read. Once human behavior is seen as symbolic action—action that signifies, like phonation in speech, pigment in painting, line in writing, or sonance in music—the thing to ask is, “what is getting said?” By seeing people, and their words, their gestures, articles, and clothes—every aspect of their lives—as symbols that have a deeper meaning, people’s lives become like ink on a page, or words in a manuscript, or like an acted document which ought to be carefully read. If you are eery going to understand the people you serve, you must first seek to read their symbols. You and I are not going to get it right a lot of the times, but that's okay. Clifford Geertz, an anthropologist who helped define what anthropology is ultimately about, and who has been tremendously helpful to me during my own journey of understanding culture, says, “Cultural analysis is (or should be) guessing at meanings, assessing the guesses, and drawing explanatory conclusions from the better guess, not discovering the Continent of Meaning and mapping out its bodiless landscape.” In other words, when you encounter a different culture, you do not need to understand everything about that culture; rather, you ought to simply try to understand something. In the same way, when serving others, we ought to do our best to “fix” as accurately the meaning of what we have seen and heard, and humbly admit that what we have “fixed” may not be accurate. It is not necessary to know everything in order to understand something. In our quest to serve others, then, our job is to keep guessing at meanings in order to understand something. Indeed, in your own work, what are some symbols, heroes, behaviors or rituals that are unfamiliar or strange? Ask questions, and guess at meanings. Try to figure out how those things might function in that culture, or what those things might mean to those who use them. Guess at meanings, and keep guessing at meanings, until you begin to get a better understanding of the people you feel called to serve. If you will do that, I believe you will be one step closer to being a more competent servant-leader.